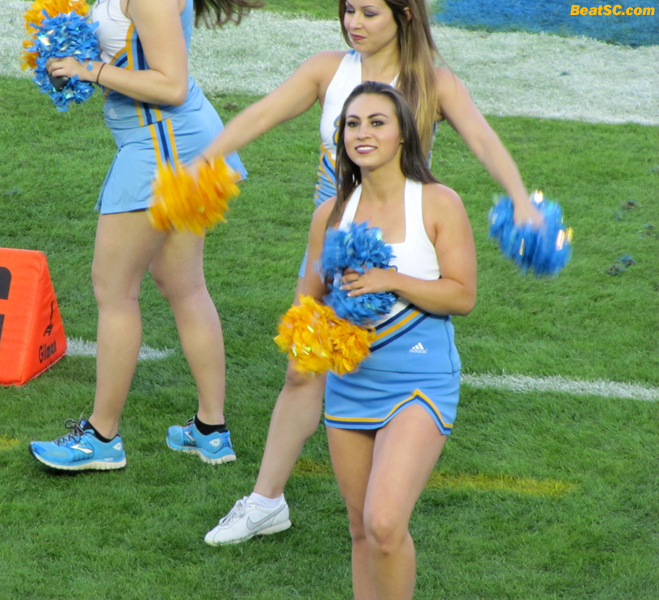 Just a few days before the Bruins’ biggest Football game in a long, long time, as they face ASU for the lead in the Pac-12 South Division, and all I want to focus on is Cheerleader photography? The Bruins are two and a half point underdogs at home to Arizona State, in a game that’s sure to be high-scoring, high-flying, and close down to the last drive. With my luck it will go triple-overtime, since I have a wedding to attend on Saturday evening, of one of my best, oldest friends. To make the ceremony in time, I’d need to leave the game at Halftime. So Coach Mora, can you make sure the Bruins are up by 5 Touchdowns by the end of the Second Quarter? Thanks. ASU has a great team, and if they win, they clinch the South, eliminating U$C. So at least there would be a sliver lining to a Bruin loss. But Mora has never lost to a South Division team, so history is on UCLA’s side. If the Bruins win, the trojans will still be alive, and the Division will be decided at the UCLA-sc game at the Coliseum on November 30th. The way sc has turned it around lately, that showdown is daunting. Of course, that game would mean just as much to me whether or not the Division Title is at stake. But a loss would be slightly less painful if the Bruins were coming off a loss, and both UCLA and sc were already eliminated from the Conference Championship game. That being said, I’m still rooting like crazy to beat ASU, and then we’ll just have to deal with the higher risk/reward the best we can. 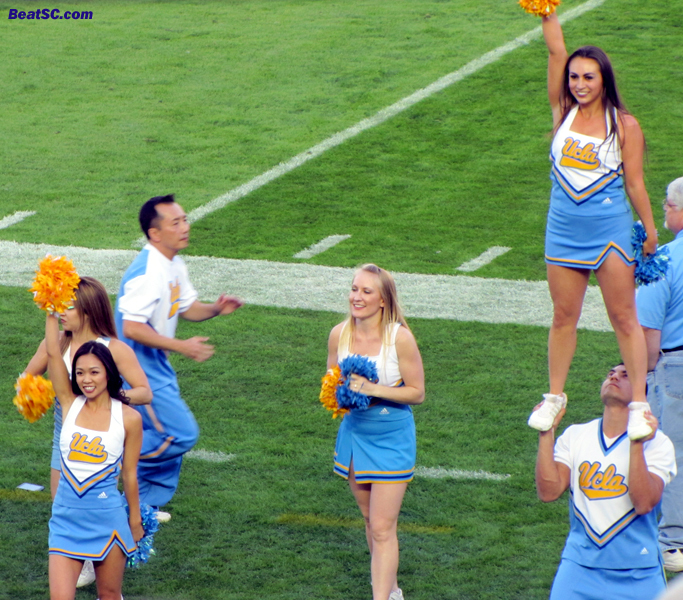 Below are 33 more brand new UCLA Spirit Squad photos from the Colorado game. I still have hundreds more pics to share, so DO THE MATH — there will be many more spreads coming soon. "A CUTE ANGLE OF AN ACUTE ANGLE OVER A CUTE ANGEL" was published on November 20th, 2013 and is listed in UCLA/usc/Cheerleader Photos.